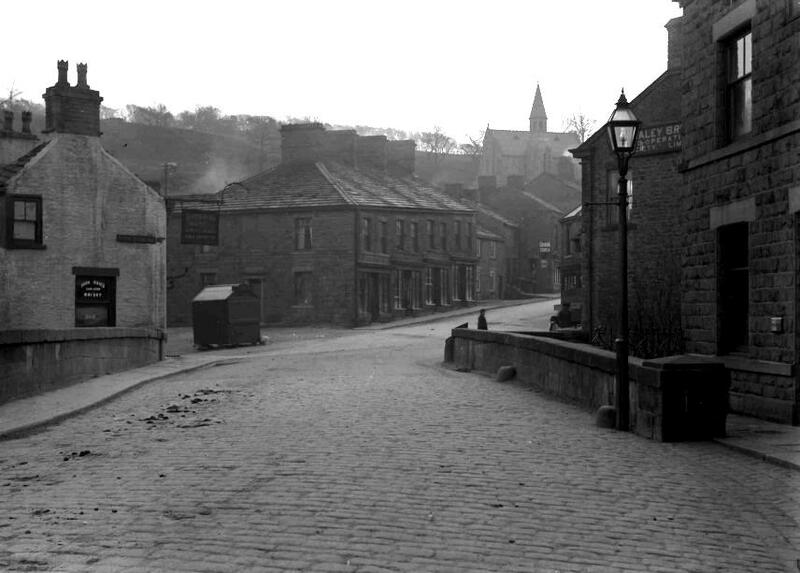 The photo id for this photograph is 258, in the Whaley Bridge L-S album. The White Hart corner. Also known as the Bridge End. No footpath over the Bridge on the opposite side. Many people think the little black hut was Eyre's coal hut but that was on the Station Approach. This hut is Mrs. Pheasey's pie hut.